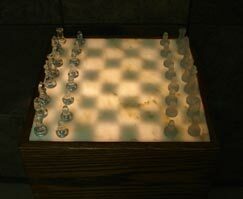 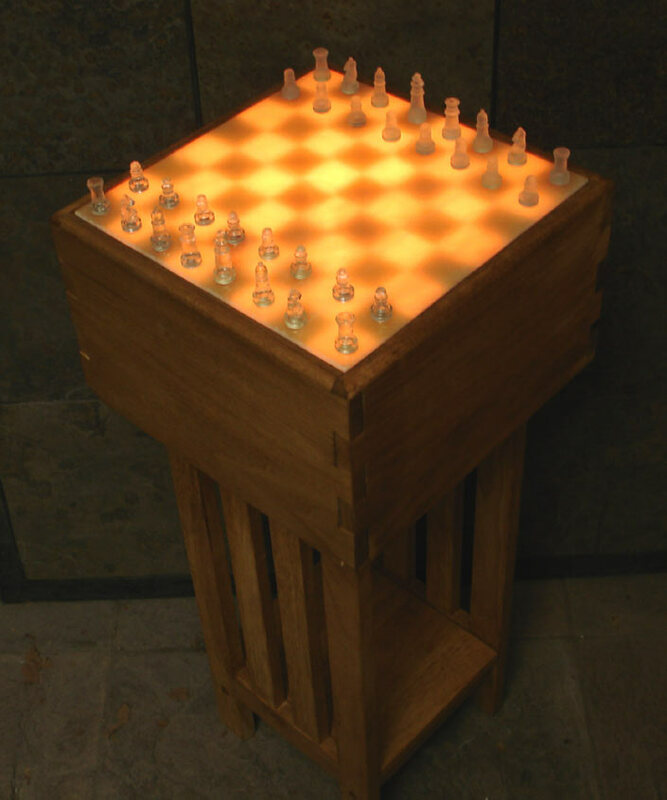 A unique design, our illuminated onyx chess tables are unlike anything else on the market. 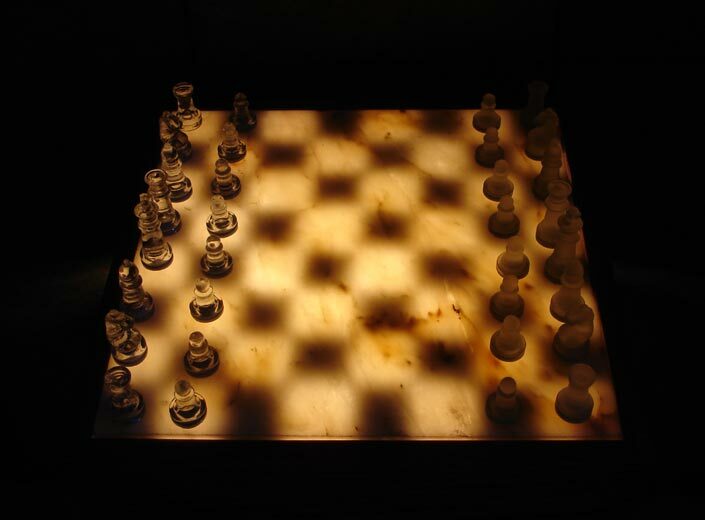 Combining the beautiful colors and formations found within translucent onyx, with an inspired light and shadow chess board design which cuts squares directly into illumination, produces a chess set unlike anything you have ever seen before. 13" X 13" X 25"
This chess table represents a union of natural beauty and creative design. 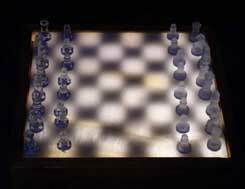 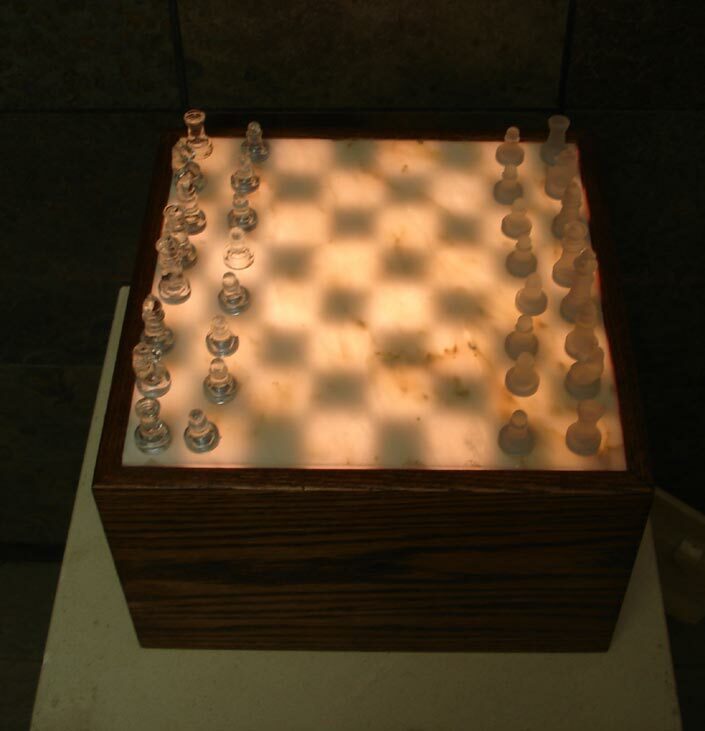 As the light rises up through the translucent stone, it is blocked in a strategic way in order to craft a chess board directly from the illumination. 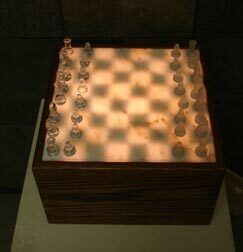 An impressive and overwhelming piece of decor, this table will dominate the ambience of any space in which it is placed.